How Long Has The Illusive Man Been Indoctrinated? 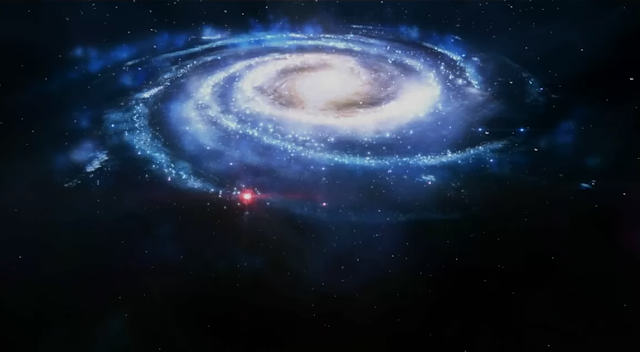 Why is it that there are HUGE similarities between the events at the end of Mass Effect 1 and Mass Effect 3? While I am not sure this supports the Indoctrination Theory because part of it begins before Shepard's hallucinations are supposed to begin, it does seem very odd. Shepard and squad make a mad dash towards the "conduit" a device that will teleport them to the Citadel. Upon reaching the Citadel Shepard searches for the control panel that will open the Citadel arms in order to defeat the Reapers. But before reaching the control panel Shepard has to confront an Indoctrinated antagonist. Shepard is able to convince this person that they are Indoctrinated at which point they shoot themselves. After dealing with this person Shepard opens the Citadel arms using the control panel which enables the Reapers to be defeated. Everything I described above is an accurate description of both Mass Effect 1 and Mass Effect 3 alike! Why do they name the Reaper teleportation beam that takes you to the Citadel the "conduit"? The very same name as the Prothean mini relay that takes Shepard to the Citadel at the end of the first Mass Effect? 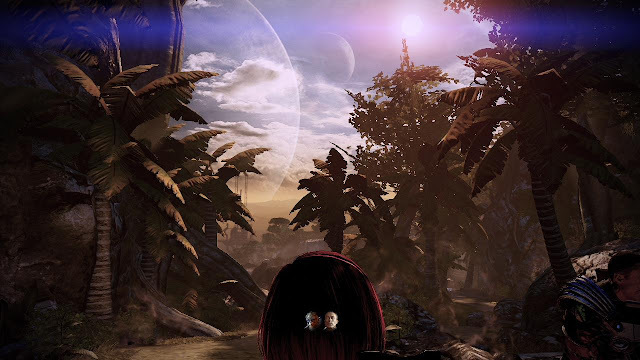 And why is it that once Shepard reaches the Citadel your goal is the very same goal as Mass Effect 1? In the first game you are opening the arms to allow the fleet to enter and defeat Sovereign who has attached himself to the top of the Citadel tower. 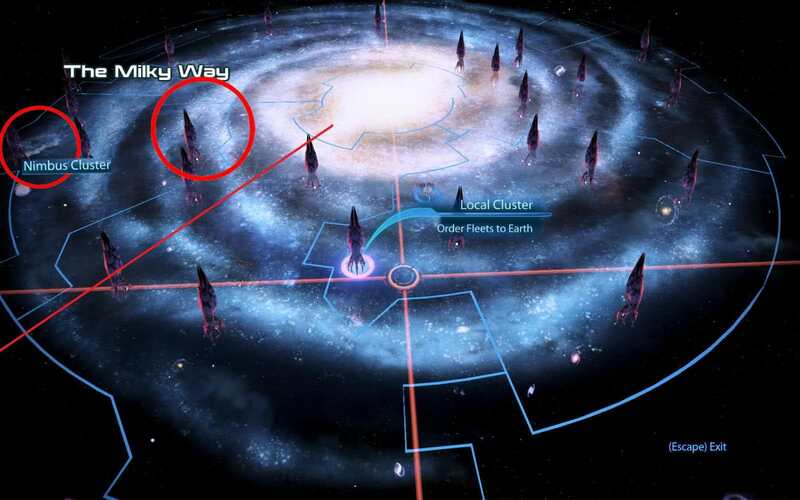 In Mass Effect 3 you are opening the arms to allow the Crucible to attach the platform that is the BOTTOM of the Citadel tower. Almost the same location! 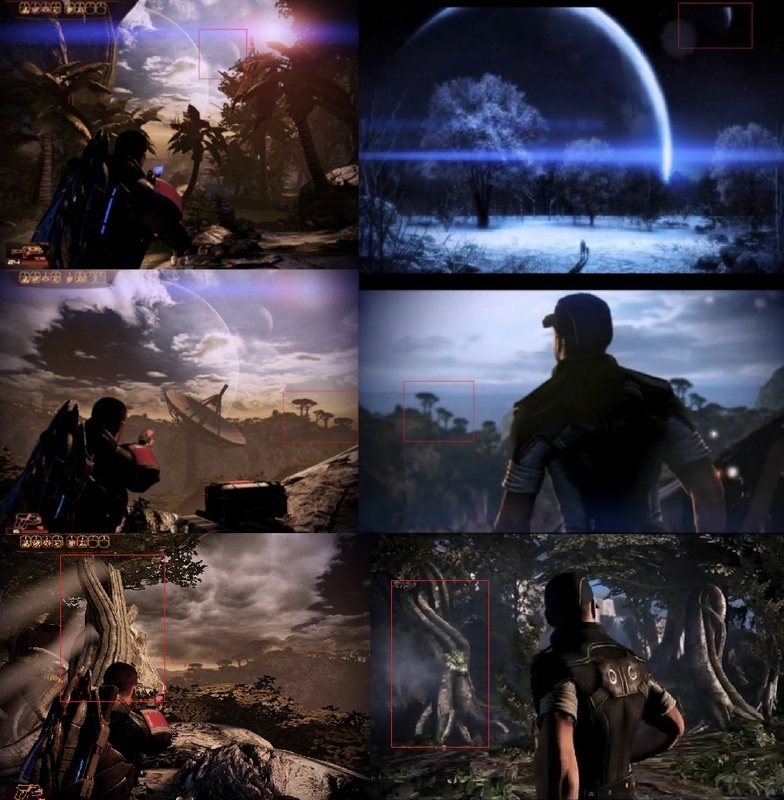 Could it be that Shepard constructs these events from memory as I have suggested elsewhere? Although the assault on the conduit takes place before the hallucinations are supposed to begin. It would explain how odd it is that there is a Citadel control panel in a section of the Citadel that turn out to be the underside of the Citadel tower. That entire sections existence makes no sense. The only way to access it appears to be through the previously non existent conduit. So why is there a control panel at all? Especially one that is accessed by walking a straight line from where the conduit drops you! It's all very odd and to me it makes it all even more dream like. I think it adds weight to the discussion of how unlikely it is that Bioware could have dropped the ball so massively in the last 20 minutes of their masterpiece. I noticed the similarity between the planet the Normandy crash lands on and the planet Zorya from Zaeeds loyalty mission myself but Ravereth, a user over at BSN posted these great comparison images, along with the 2 moon similarity with the horrible post credit "tell me another story of the Shepard" scene. 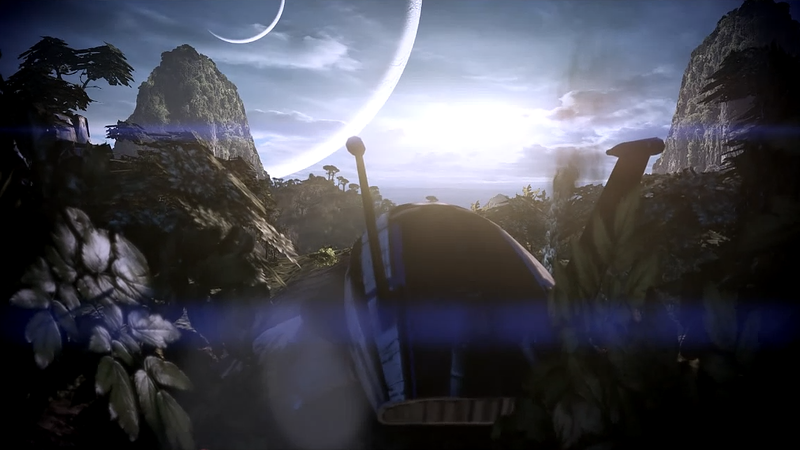 Did Bioware simply reuse assets from this planet or is this supposed to be the planet they crash land on? If it is then I believe it is two full relay jumps and a system away from Earth. Unlikely they would make it there when running away from that Citadel explosion. Or could it be Shepard is constructing this planet from memories? 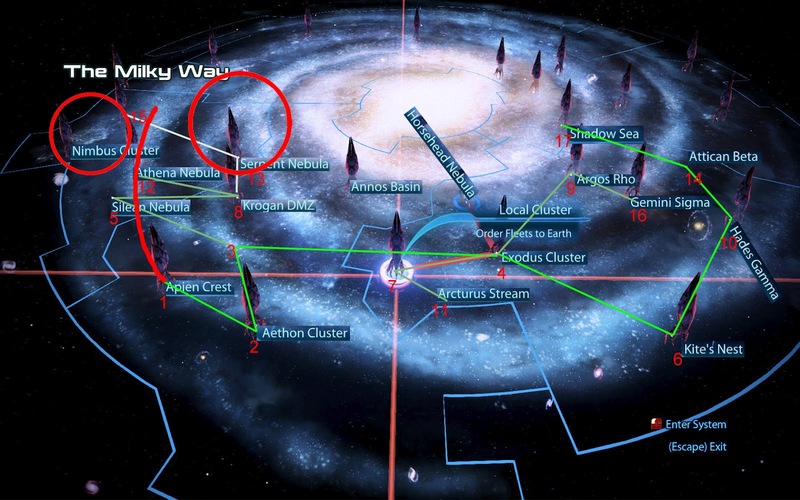 Why Does the Citadel Explosion Not Appear to Begin in the Sol System? Take a look at this image showing the location of the initial explosion that is supposed to come from the Crucible/Citadel that then spreads out to all the other mass relays. There is a rather HUGE problem with this. The Crucible/Citadel is supposed to be in the Sol System/Local Cluster at this point. And this does NOT appear to be anywhere near it. Let's break this image down to see if we can prove this. First of all let's find identifiable markers to compare to the Galaxy Map. Here we can see the Nimbus Cluster and a "Y" section that we can identify on the Galaxy map. We can also line everything up using the oriantation of the Galaxy core. So lets put a line showing where that is pointed. Ok so now here is the Galaxy map showing these identifying marks plus the location of the Local Cluster, which is clearly nowhere near to the initial explosion. Here is a composite showing where all the explosions that we see take place. The Local Cluster is not even close to that first explosion! And as you can clearly see the relays match up perfectly, so Bioware knew what they were doing. This is not a case of the animator not bothering the check where the relays were. So according to our almost undeniable research here, the Crucible/Citadel explosion takes place in the Apien Crest! And the Local Cluster is hit SEVENTH! The ending originally had the Crucible in the Apien Crest and the animation was done then and never changed. The animator is an idiot and paid attention to the relay map but not where the starting position was supposed to be. Bioware intentionally made this wrong along with many other things as a clue that this is not real/true. One of the least convincing things that the Catalyst tells you is the motivation of the Reapers. We are told that in order to preserve advanced organic life from being destroyed by the Synthetic life it created, the Reapers need to harvest them and preserve them into new Reapers. So lets debunk this Catalyst lie to start with. I found this quote from Casey Hudson (executive producer). Question: So how do you stop something unstoppably massive? Casey Hudson: That's something we reveal over time. You see humans being harvested and processed to become fuel for the way Reapers reproduce. This is their reproductive cycle and we're just a part of it. We're nothing to them. So from the mouth of Casey himself, we are NOTHING to the Reapers other than fuel for them to reproduce! They have no interest in "preserving" us to save us from synthetics! This was from June 2011, so maybe he completely changed his mind as to what drives the Reapers after they were 2 years into making Mass Effect 3. But I doubt it. If Sovereign is not telling the truth about the Reapers contempt for organic life, why? Seems more likely to me that the Reapers see Organic life as something to look down on and use for their own ends, rather than saving us being the sole reason for their existence. And what species was harvested in the first place to make the Reapers? And harvested by whom if the Reapers were not yet made? Well Mass Effect 3 lead writer Mac Walters tells us it is only the "Core" of the Reaper that assumes the shape of the original species. After all if their purpose was to preserve all advanced organic races, why did they fail to harvest the Protheans? And why were they building a Human Reaper, not an Asari Reaper since they are the most advanced race. It would also make sense of what the Collectors were up to, sampling each race ahead of the Reaper invasion to find the most suitable candidates. In fact we hear Harbinger dismiss the use of other races for this process in Mass Effect 2 for various reasons, the Asari’s dependence on other species and the Krogan’s genophage affliction. So it seems logical to presume the Reapers are only interested in using humans to build a new Reaper and wish to wipe out the other species since they are no use and to prevent them warning the future races. It would explain why the Human Reaper was being built ahead of the actual Reaper invasion too. And it would explain why Earth is such a frontline for the Reaper invasion in this cycle. It is so far the best theory I have come up with. And if true, it further illustrates that the Catalyst was lying about the Reapers motivations. Be sure to let me know what I have missed or if I have gotten any of the facts incorrect. And be sure to read the post EC analysis if for some reason you arrived at this from an older link. Great collection of evidence. I know it's not 'evidence' per se, but is it worth adding a section about Bioware's history of 'twist endings'? This sort of sets up a 'pattern' of Bioware doing things *like* IT, but not as audacious. I know it is a thin thread, but it does demonstrate prior intent, and that Bioware is certainly 'capable' of this sort of thinking, because they have done it before. Thanks, this was pointed out to me before but I neve got around to adding it. Defiantly worthy of addition, I'll be sure to add it tomorrow. Really awesome site you got here, all information in one place, Kudos to that! Some Points I wanted to add. And please forgive me for posting all this in one comment and not in their respective sections. indoctrination as you won't see the "breath scene". indoctrination through the destroy option, only then you will finally wake up. people groan, Anderson and Shepard! Possible evidence that Shepard's shot at Anderson actually affected himself/his mind ? Regarding "The Plot Holes, strangeness and Illogical Story Elements"
About the part with Andersons representation of 1000 EMS based on whether TIM shoots him or dies. You wrote it was claimed that it depends on whether TIM shoots Anderson or not. It's not claimes, it's fact, it's written in the official guide. If taken literal, it doesn't make any sense. Why is Anderson worth 1000 EMS if he lives a few seconds longer ? Whether or not you prevent TIM from shooting him, he dies anyways. It's not like he can help you at this point. Considering IT though, it actually makes sense bceause, as you already wrote, if Anderson is representing Shepard's remaining free mind, his/it's death would weaken him and make it harder to resist the Indoctrination attempt, therefore higher EMS. Maybe you could rewrite that point, because when I read it I found it a bit confusing that you first mentioned it was due TIM's suicide and then added that it's because Andersons's death as an addendum. 5:08 mark in the video. well if the current ending is the real one. This may due to budget or time constraints, but did you realize that there were a lot of unique-looking Reapers in the ME2 outro (Reaper Fleet) and we saw none of them ? he was just reduced to a Sovereign-class Reaper with a missing leg and eyes. I don't really understand why, because Harbinger's model was already there, probably just needed some polishing. The other ones actually have to be there as well, otherwise they couldn't do the Reaper Fleet video, could they ? You mentioned several things I have been meaning to fix and add, thanks. The Anderson/TIM one is a result of me changing it to the correct info but not fixing the entire post. I'll do that right away. Very good work on this blog, one of the most open minded I have found so far. To answer this I'm going to use a quote from miranda lawson when she explained why the illusive man stopped her from implanting shepard with a control chip. 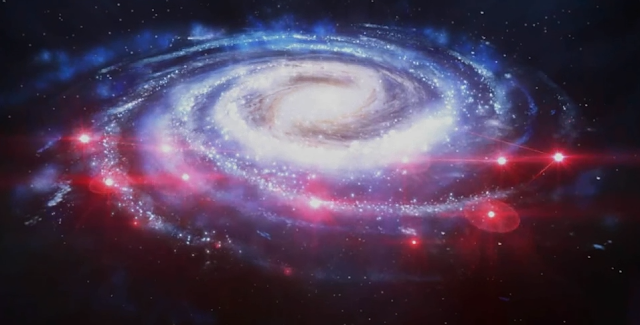 This can be apllied to the reapers way of thinking, they want the person who influneced and united an entire galaxy to join their cause. They want shepard to come over to their way of thinking and it has to be his/her choice, to deny shepard this choice would be controlling him/her directly and would be no different than an avatar for the reapers will like paul grayson was or simply a husk. I believe I can back this theory up with some quotes from saren on virmire. Is this logical anaylisis or am I simply grasping at straws? Like you say with high EMS the catalyst says 'Wake up', and when it's low he says 'Why are you here?' This leads me to believe that if your EMS is low the reapers simply don't want you. You're not the powerful leader that they expected and discard you, if your option was to destroy the reapers they kill you, hence the depiction of earth being destroyed, if you option was control you become a mindless tool of the reapers. Another thing is a messive hint that I have not seen anyone disscusing on any video or forum, in one of shepard and edi's later they talk about reaper pow camps and prisoner escape atempts and how indoctrination should stop people from helping each other. If you choose the renegade conversation option shepard says 'Maybe the word got out on how indoctrination worked, and they made a decision.' to me this is a massive hint from bioware but I could be wrong. well , you analyses clues very well . i have an other clue: why they bombard the bekenshtine insted of harvest? and why catalyst doesnt run Synthesis earlier ? i mean die or Synthesis. i will choose Synthesis insted of die . thanks for your post . it was nice. Catalyst: Add your energy to the Crucible's. THe chain reaction will combine all synthetic and organic life into a new framework. A new...DNA. C: Your organic energy, the essence of who and what you are, will be broken down and then dispersed. S: To do what, exactly? C: The energy of the Crucible, released in this way, will alter the matrix of all organic life in the galaxy. Organics seek perfection through technology. Synthetics seex perfection through understanding. Organics will be perfected by integrating fully with synthetic technology. Synthetics, in turn, will finally have full understanding of organics. It is the ideal solution. Now that we know it is possible, it is inevitable we will reach synthesis. Shepard: - Why couldn't you do it sooner? Catalyst - We have tried... a similar solution in the past. But it has always failed. C: Because the organics were not ready. It is not something that can be... forced. You are ready. And you may choose it. "It's not something that can be forced". C'mon Shep, he's saying it to your face. It's not that the organics weren't ready, it's just that the Reapers tried to force them and that didn't work, so... what's the solution? Indoctrination. Let organics think that they are choosing by themselves. Let Shepard think that he is choosing by him/herself, and that he is choosing what is right (although he has been fighting against it through 3 looong games and convinced Saren and Illusive Man, and so on, that synthesis is totally wrong and makes no sense). They aren't giving you a chance to break free, they just NEED you to think it is your choice, since forcing you wouldn't work. Yeah, I choosed Synthesis the first time I played through and like 30 mins later I started feeling soooooo damn stupid about my choice... It just doesn't make any sense with all the decissions you have made on the whole trilogy. Good point. I'll be sure to include a mention of this when I finally get around to updating the site for post EC analysis. Can't see any discusssion over the forth choice? Instead of picking one of the three you can turn around and shoot the kid. This effectively allows the cycle to continue and you get the far future ending that Liara had made plans for? About surviving as DNA goo, what are we if not vehicles for the DNA in our cells? It codes our appearances, but more importantly it codes our behavior, our actions, or thoughts, our feelings. What if that is the function of the DNA in the reaper, and it actually thinks and feels like a million humans or any other species they are made of? What if the reapers are indeed an ascended form of those species?